Buyers looking to nab the top lot at Cowan’s sale of American and European Paintings, Sculpture and Asian Art had better get there early. With an estimated value of $20-30,000, Lot 1, an exceptionally rare Tambola Panel from the Cincinnati Art Club, is expected to claim the highest price at the auction. So what exactly is a Tambola? Well, it’s a term taken from the Italian, where the word means “raffle.” The Cincinnati Arts Club, founded in 1890 to promote “knowledge and appreciation of art," organized annual tambolas to raise money and help achieve its goals. 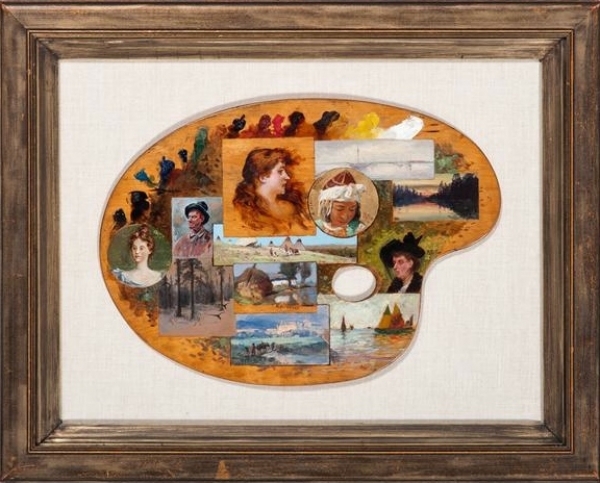 This particular piece, produced in 1894, is a painters palette decorated with miniature paintings by twelve prominent 19th Century Cincinnati artists, and is one of only two known to still be in existence. As local lore has it, the panel would have been passed around among art club members, with each artist painting a small scene typical of their style. Such collaborations among artists are virtually unheard of in 19th century American painting circles. 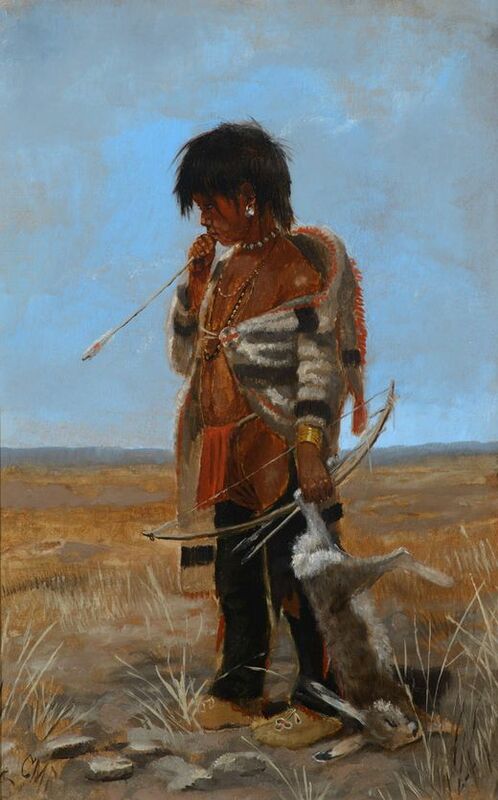 Cincinnati was a thriving artistic center at the time, and its native artists shared a real camaraderie - many were from a similar German heritage and developed several exhibiting groups and clubs. The Cowan’s sale of American and European Paintings, Sculpture and Asian Art is set down for Friday, February 20 and Saturday, February 21, and will feature 674 lots sold over three sessions: Fine Art, Asian Art and Decorative Art. Bidding starts at 10:00am EST, so be sure to keep an eye on your watch, lest the Tambola ends up in the wrong hands, i.e. not yours!